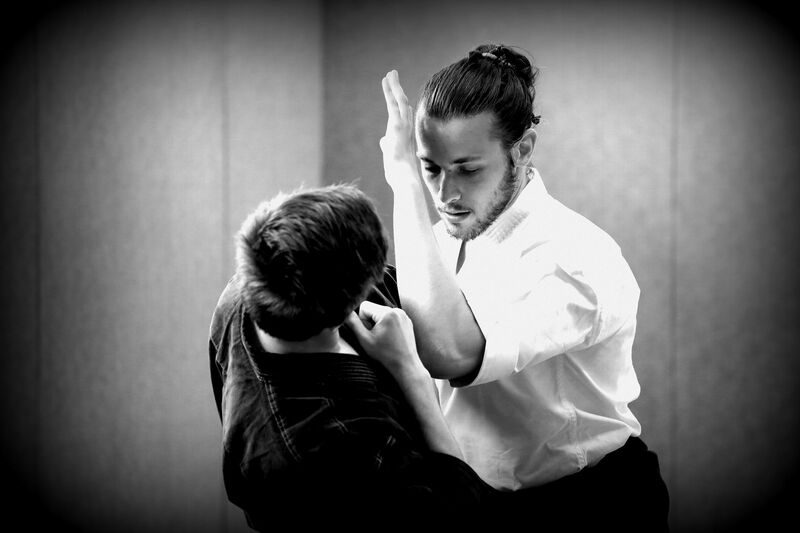 Alex is one of the pillars of Kishinkai Aikido, that he now teaches in Limoges, France. Practicing since his youngest age, he started Judo before turning to boxing and French boxing and then to Yoseikan Budo. From a relatively aggressive and competition-oriented practice, Alex made the choice to leave everything a few years ago to settle in Paris and follow the teaching of Leo Tamaki. I enjoy starting each day with a workout because I find there a source of motivation and well-being. It allows me to wake my body up and start the day on a positive note. I usually plan my workouts based on my daily activities and the times I feel more receptive and productive depending on the type of work. Each at his own pace, which evolves according to the cycles of life. I try to take this into account to optimize each session. Most of the time I cut the morning training in two phases during the week. I devote four mornings to physical maintenance and muscle building according to a specific program that I establish according to my needs and my practice. 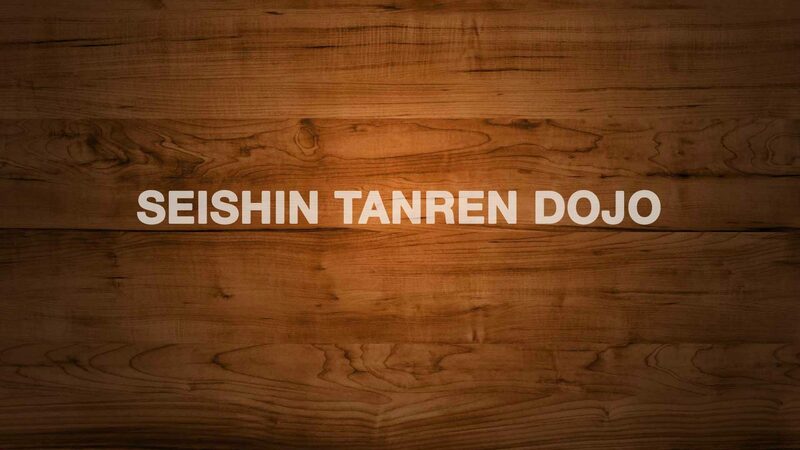 Then the remaing three day are dedicated to stretching and postural work. This is an important moment for that I try not to miss, the rest of my day already being dedicated to other forms of study. 2. If you only had 10 min to train, what would you do? If I only had 10 minutes? It depends on the periods, my weekly training load and my current research. However, if I am in a phase with little time in front of me, I usually do suburi. They make it possible to study alone all the bases of our school, both in the form and in its essence. It is an exercise that does not necessarily require a partner, that can be performed occasionally without weapons if you are traveling and that you can use as well to forge and polish the body. There is also an infinite possibility to make this exercise evolve. To give you an example, at present I alternate between the basic form of kenkutsu suburi and a more complex form using a balance board and a blindfold to deepen the study of the “floating body” principle, ukimi, and access to a different perception of my body in space. This second form of work allowed me to put my finger on certain unconscious defects that I had and to improve them. 3. What is the best investment you’ve made in yourself? In others? Personally, my best investment was to break with part of my life to go study budo in Paris (personal life, lifestyle, etc.). I was a student and was made to teach physical and sports activities. When I made this decision I had not finished my studies yet but this desire had been present for a while. One day, during my last year of study, I thought it was now or never. I felt I was reaching a limit in my practice and felt the need to go elsewhere to keep moving forward. So I finished my year with the idea in mind that whatever happens, whether I graduate or not, or not, it was time for me to fly away. A few months later, I arrived in the suburbs of Paris and started classes at Kishinkan Dojo the following day. For others, I honestly think it’s not for me to answer. When we start asking ourselves these kinds of questions, and taking stock of what we have given, maybe comes a time when we risk having expectations of others. I do not want to go into this pattern, let alone that people around me feel that there is a counterpart and I am indebted because they lose some of their freedom. People are not there to meet our expectations, it’s up to us to make sure to answer them, the rest is a bonus. Giving to receive is an important principle of budo, but I think it’s different to give hoping to receive. 4. In your opinion what are the biggest mistakes that people make when training? On the contrary, what do you think people get easily from the beginning? Everyone makes their own mistakes and this is the difficulty of the role of teacher: analyzing the errors of each student to provide a personalized answer :-). There are, of course, some common mistakes that come out of students, such as being too much attached to their preconceptions or sometimes being so attached to the end result that they miss the point. But it’s finally a defect that we all have at one point, it’s still human :-). This is not very serious because a part of us is built through our mistakes. Finally, I think the main thing is not to make mistakes but to realize it to avoid reproducing them and progressing. What are the easy elements for people at first? It is a complex issue that is dependent on the personality, the lived experience of each and the teacher. Personally, if nothing is obvious at the beginning, I sincerely think that there is nothing very difficult from the moment the requirements are progressive and personalized, that the pedagogy is adapted to the profile of the student and that the proposed work makes sense. It is important for me that the student leaves each course having identified a problem to be solved, that it is concrete working tracks and is at least in phase of solving the problem. 5. Has any failure you had in the past help you get better at what you do? Do you have a favourite failure you could share? Honestly, I’ve never asked myself that question. Not that I have never failed but because failure is something very relative to me. I tend to analyze each of my possible mistakes in the face of the obstacles I encounter rather than blame the difficulty of a situation. Once they are identified, I use them as an engine to overcome them. So I do not really perceive the situation as a failure as such but rather as a springboard, a way to progress. As a result, I remember my mistakes far more often than the notion of failure itself. However, if we consider them as such, I would say that they all helped me to move forward. After that, did it help me become better? I dare to hope :-). I have in mind an event that particularly marked me. I was in a complex phase and I was far from being the study partner that you would pick for his nice and pleasant capital. Of a rather impulsive and impatient nature, I have often been characterized as a “little pretentious jerk” for good reason. I was absolutely unaware of my attitude and regularly created conflict situations with others. To tell the truth, I was ok with it since I had built myself since childhood through conflict and the challenge of authority. 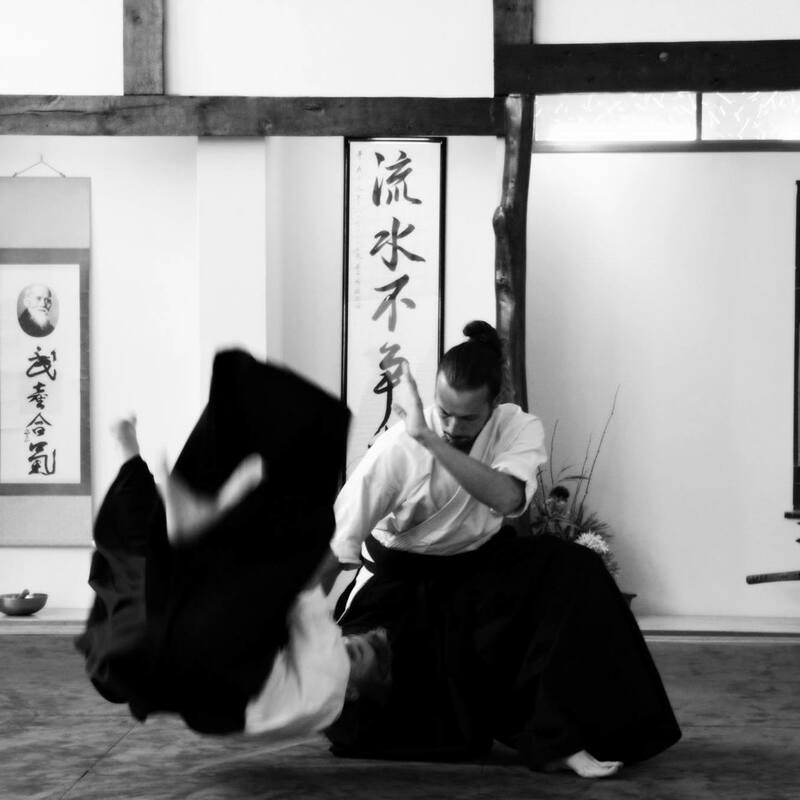 At that time, only the martial part of budo interested me and I also perceived life as a fight. Until the day when one of my teachers clearly gave me the points on the “i” after several slippages on my part. Without going into details, he made me face myself and made me understand that the problem was essentially my attitude towards others. It allowed me to understand that the reactions of people around us are often a reflection of what we are. He put me face to face with reality and allowed me to work on myself to get out of this pattern. He was able to perceive the right moment to make me react but, more than anything, he remained open and held out his hand. Which has certainly pushed me to deeply question myself. I owe him a lot and would probably not be where I am without his fair intervention. However, I am still far from being satisfied with my person today, I still have much to learn and progress to make :-). 6. When you feel you are reaching some sort of ceiling/stagnation period in your practice, how do you go through it? By trying to analyze the why and the how, or asking for the opinion of my teachers as a next step. I also observe my study partners a lot to open my work perspectives. When I have no answer I go back to basics because when we improve we sometimes consider that they are acquired, but nothing is ever acquired forever. We rarely talk about acquisition loss but it’s a reality, even for an advanced practitioner. Sometimes it’s good to put an exercise aside and start again from the beginning to catch what we missed. We have all encountered a problem for which, despite all our efforts, we did not find the solution and leaving it for a while, the solution eventually presented itself as a click. It happens to me occasionally to let the identified problem mature to get back at it at a later point. 7. What do people never ask you that you wish they did? None, I don’t have any specific expectation. 8. Would you have any advice for your younger self?